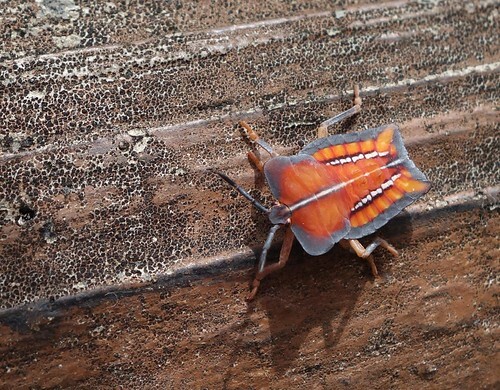 Found this glorious beetle decked out in aboriginal colors. Solidarity translated two reports from the local news today. First, an Apple Daily piece saying that the KMT is courting destruction following its rules and going with Hung. This view is especially strong in the central and southern regions. Hung is clearly and colorfully a waishengren 外省人, and she can’t understand a word of Taiwanese. How can she establish a connection with voters there? 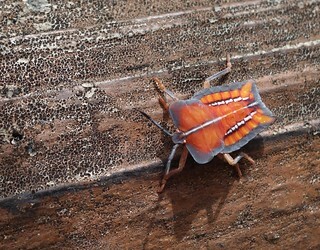 Outside Taipei’s city limits, the fear is already spreading. The two sides have not reached a consensus on whether to have a “comparative poll” (placing Hung head-to-head against Tsai) or a “support poll” (simply asking whether one supports Hung’s nomination). Hung is calling for a support poll, while the party is leaning toward a comparative poll. Hau said that as the convener of the party’s nomination review committee, he does not have the standing to determine the issue, but he will communicate Hung’s position to the committee to discuss. The economy is not getting better. Articles below discuss the NT, which the central bank is frantically trying to shove down in order to keep pace with the yen, whose fall is hurting exports in both Taiwan and S Korea. For ordinary people the economy is totally stagnant, with three-fourths of the working class not getting a raise this year, and seven years of Ma Administration failure is going to punish the KMT candidate hard. 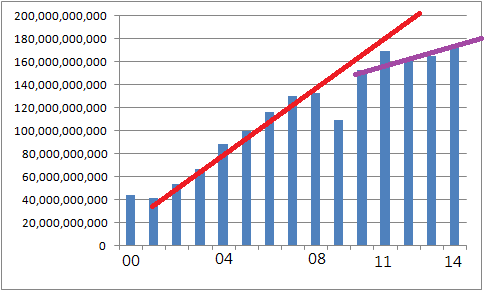 Our trade surplus with China will also fall this year. KMT legislators, put into power by local factions, have repeatedly indicated they want either Wang Jin-pyng, long the informal leader of the KMT factions in the Legislature, or KMT Chairman Chu. Every day that the party dithers over Hung is another day that the factions will consider making a deal with the DPP or running candidates against the KMT. 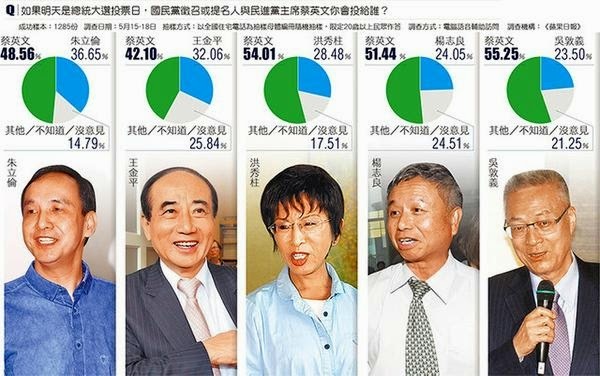 Chen Chu once again has highest satisfaction ratings among mayors. Nearly three-fourths of workers have seen no rise in pay. That will definitely impact the election. 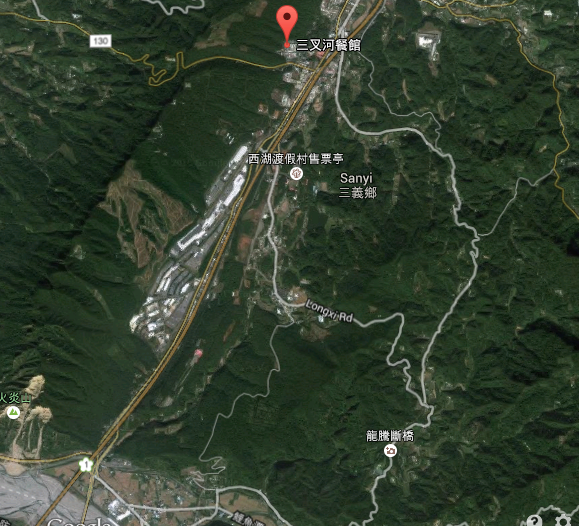 This Taipei land grab is a textbook case of how public land is converted to private wealth. One key one from two weeks ago I forgot about: the head of the Straits Exchange Foundation -- not a government body, as a sharp observer pointed out to me -- announces that limits on Chinese students are likely to fall. Flooding Taiwan with Chinese has always been a key goal of Ma's annexation policy. The awesome Dr Sullivan with another great Taiwan reading list, this one on Taiwan's democracy in comparative perspective. Smith and Mazza on Tsai's dilemma with the US. Note that the demand that Tsai "clarify" her cross-strait policy, is a pro-KMT move. Arthur Waldron, longtime Taiwan supporter and watcher, on the South China Sea mess. US re-evaluating Taiwan's South China Sea role. Haha. With the KMT at the helm? Don't think so, guys. You'll have to wait for Tsai's election. But a Taiwan admiral attended the US Pacific Fleet handover. Another glorious day of cycling in the mountains near my home. China’s top official on Taiwan affairs has warned that Beijing will sever valuable transport and other ties with Taiwan’s outlying island county of Kinmen if it moves to develop an integrated resort. Taiwan Affairs Office director Zhang Zhijun issued the extraordinary threat on Sunday as he toured Kinmen after talks with his Taiwanese counterpart, Mainland Affairs Council minister Andrew Hsia. Kinmen business leaders cited Zhang as saying that Kinmen’s development “must follow the correct path” and warned the island against establishing a casino industry, “otherwise the small three links will most definitely be shut down”. 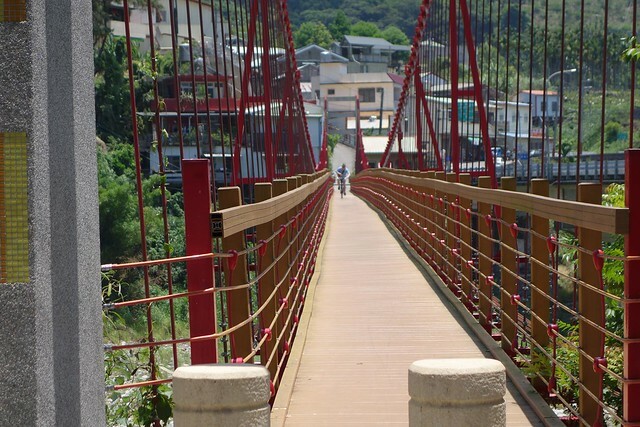 The “small three links” refer to direct transport, trade and postal connections between Taiwan-controlled Kinmen and Lienchiang (Matsu) counties and nearby Chinese port cities. 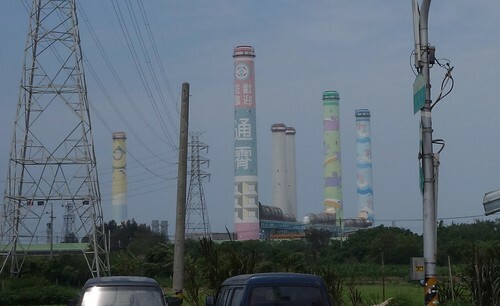 However, since Sunday a number of DPP legislators have attacked Zhang’s comments as a slur on Taiwan’s autonomy, pointing out that China tolerates gaming facilities not only in its own territory of Macau, but also just across its borders with other countries. How do you think Beijing will behave when it has actual control of Taiwan? 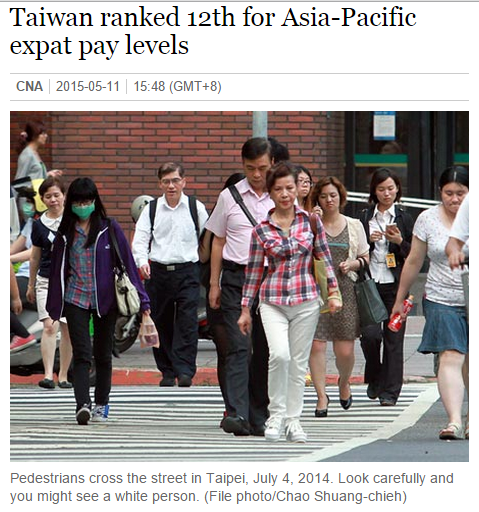 Isn't it good that ECFA has enhanced Chinese goodwill and favorable attitude towards Taiwan? 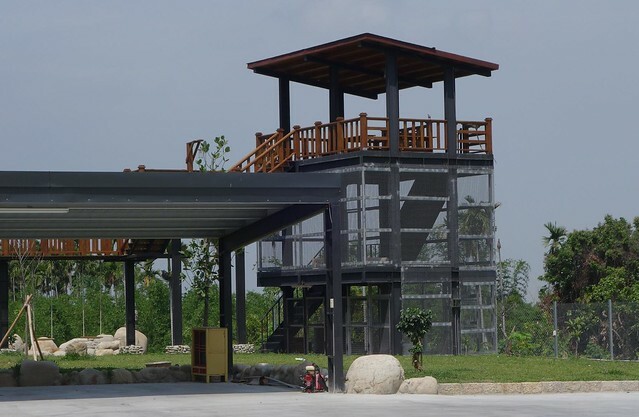 A pigeon house outside Shihgang. If Itu Aba/Taiping Island — an ‘island’ that is administered by Taiwan — is considered to be Chinese territory as per the ‘One China’ policy, then every China-administered feature in the Spratlys chain is encompassed within this exclusive economic zone area up to the median line. It is legal for nations to build artificial islands within their EEZ. This means that China can use the ROC-administered Itu Aba (which should be Vietnamese) to claim an EEZ in the Spratlys, because both are "China". Neat, eh? This was the policy that the US committed to when the Obama Administration supported the KMT. Way to go, Washington. It's a good thing there aren't any tensions anymore, thanks to Washington's support of the KMT, and the US is not directly confronting China anywhere. Meanwhile two good pieces out on contrasting visits: a very good piece by the wonderful Deb Wu from Nikkei Asian Review on the Tsai visit to the US, and a great one from Thinking Taiwan by Lai I-chung on Eric Chu's kowtow to Xi Jin-ping. For farmers to harvest old ginger root on a 1 jia (2.3-acre) plot in the mountains, they only have to spend around NT$1.2 million (US$39,328) to prepare the soil and grow and harvest the crop, but can earn NT$6 million in return, said Hu Wu-jen (胡武仁), secretary of the Yanping Township Office. "The risks are low and the profits are good. 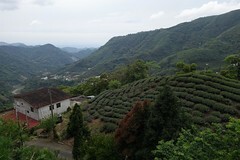 Of course ginger farmers are running up the mountains," said Hu, who used to be a ginger farmer himself. He said most farmers planting ginger in the mountains rent the land for a year from indigenous people, who may not have the NT$300,000 needed to prepare a 2.3-acre plot. So the indigenous people rent their land to ginger farmers and when they get their land back after a year, it has already been prepared for cultivation and use, said Hu, calling it a "win-win" situation for the indigenous people and ginger farmers. The ginger farmers look for new pastures after a year because the old ginger root they grow "is picky when it comes to the soil" and needs virgin soil for the best results, said a farmer surnamed Chang. The thesis also notes that after ginger is planted, the land is not arable for many years. Another issue associated with ginger is landslides. When asked about how a landslide took place, an experienced Bunun farmer in his early 60s offered his opinion on the design of a ginger farm, “What one should do [after plowing a large area of land] is to dig a trench along the bottom edge of the ginger farm and pile rocks along it to build a base [to make up for the loss of vegetation]” (March 31, 2010). 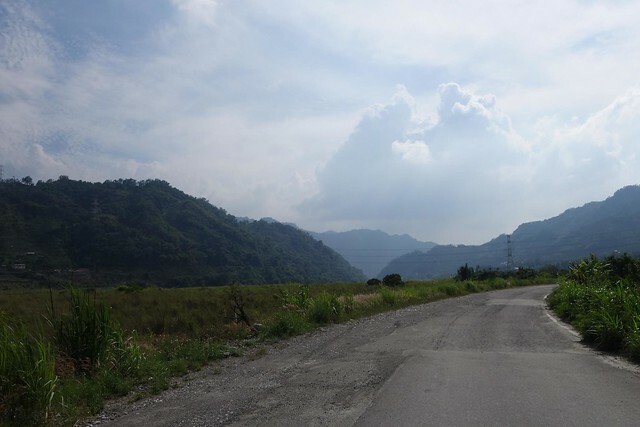 This local narrative redirected the perception of landslide risk to how land is farmed rather than simply blaming highland agriculture as the overarching factor for causing landslides (Sheng, 1966). 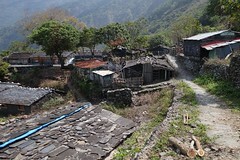 In Vakangan, one can spot the cultivation of ginger sitting on hills along and above residential houses. While some individuals in the community fear or talk about these plantations as landslides waiting to happen, especially given the region’s proneness to hurricanes, it is also a plantation that offers job opportunities for many local people. Nonetheless, when looking closely into the cycle that drives the plantation, one finds that the risk of landslide is not so simple and straightforward. A total of 13 farmers in Dingyanwan were sent to prison for 13 days for obstructing the execution of public duties before being released after paying fines, but the conflict between the farmers and the government has continued to simmer for 50 years. In 1976, local farmers filed a petition to maintain their farming operations on the land, but a joint investigation concluded that the fields should still be used for afforestation, and farmers were asked by the Forestry Bureau to remove their crops. The farmers stalled and ignored the request, and in 2001, the Forestry Bureau turned tough and accused over 70 farmers in Dingyanwan of occupying state-owned lands. Prosecutors decided, however, not to prosecute the case. The bureau then filed civil actions against the farmers to recall the land on the charge of estrepement -- referring to destructive waste of the land committed by a tenant. When the farmers found that they had no access to proof favorable to their claims, they lost their cases and were ordered to return the lands they worked within a designated period of time. The problem was that the deal left out a major stakeholder in the area, indigenous Puyumas who consider the land to be their jurisdiction and see the farmers as nothing more than illegal squatters. 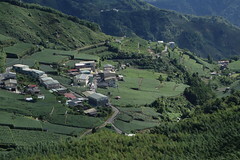 Puyuma representatives said in a meeting with the local government on Oct. 28, 2014 that if Dingyanwan's status as a protected forest area is removed, the land should be returned to the Puyuma people because they have been living and hunting there, according to a document from the Taiwan Provincial Consultative Council. The tribe's representatives asked the local government to handle the issue cautiously by holding more negotiations with them and taking into account both economic development and the Puyumas historical connection with the land. 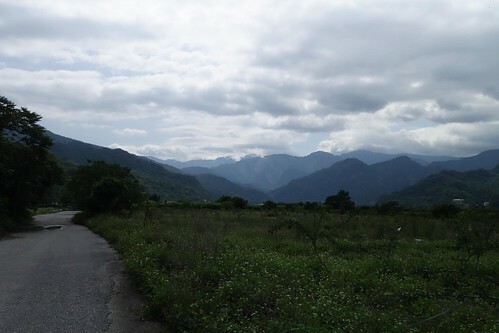 Taitung's forests are "twice promised land", a prize for the most politically savvy and well-connected. 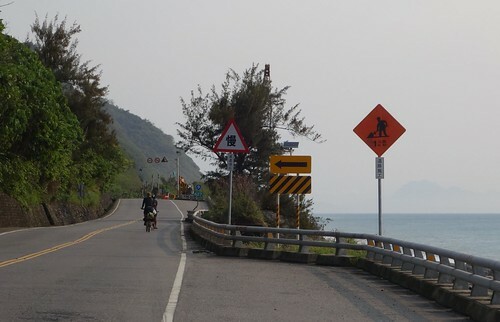 Now with big developers muscling in to pick up chunks for their Chinese tourist business, Taitung is going to take another hit. Of course the piece ends on a note of sympathy for... the poor abused Han. All of which has left the farmers in an uneasy limbo. ...by "farmers" they don't mean aborigines. President Ma Ying-jeou unveiled May 26 his South China Sea Peace Initiative, calling on all countries and territories in the region to employ it in resolving disputes and developing resources. “In view of rising tensions in this region, the ROC, drawing on its successful peacemaking experiences in the East China Sea, solemnly pledges to take the lead in advancing peace and prosperity through this initiative,” Ma said. Ma remains the Chinese nationalist ideologue, even as his administration enters its twilight. The idea of "peaceful development" is of course territorial expansion by other means -- since these islands and sand banks were never Chinese, it follows that any "shared" development is handing China resources it doesn't own. Bill Hayton shows how China has warped the historiography of the South China Sea in an excellent piece in the Asia Sentinel. Ma's "peace initiative" comes as the US was challenged by Chinese as its aircraft overflew the area. The Chinese are attempting to claim nearly the entire South China Sea as if it were its own local waters, and will likely impose an Air Defense Identification Zone (ADIZ) over the area, more salami slicing extension of sovereignty. What China is doing is trying to turn its bogus EEZ, created by island building, into territorial waters. Even within EEZ every nation has right of passage. The only limitation is on who has the right to exploit the resources within the EEZ. Activities, including scientific exploration, laying communications cables, even military exercises, are all legal inside the EEZ and outside of a state's territorial waters (the 12 nautical mile limit). As a friend noted "It's just Beijing making us think that EEZ and territorial waters is the same." The SCS drama makes it clear what would happen if China ever annexed Taiwan: more extension of its "sovereignty" out toward the Japanese islands to the east, Okinawa to the north of the Senkakus, and south towards Batan Island north of the Philippines. Good piece from Josh Ellis on the Chiang Kai-shek statue park. Another good one: Sullivan's reading list for Taiwan identity. Commonwealth interviews three exchange students from China. Some very interesting remarks, ignore the silly title. 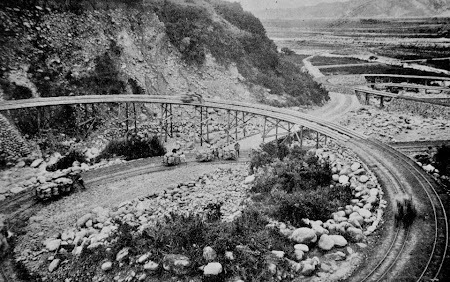 Roughly translated, that's the Bogongkeng of Huludun Light Railroad, completed in 1906, on the left (north) bank of the Da-an River, which would put it in present-day Miaoli. Huludun is the old name of Fengyuan, which in those days covered a much bigger administrative area. 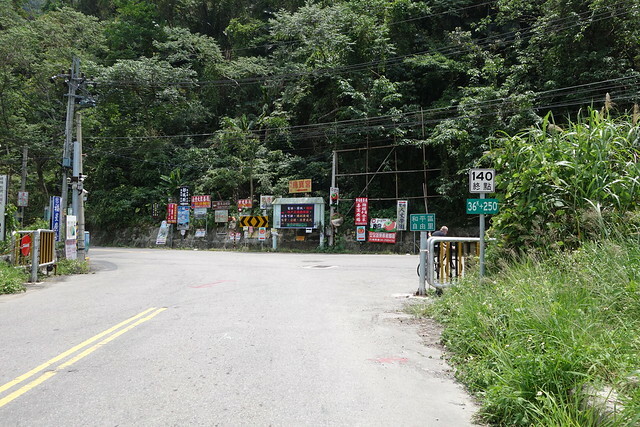 Although you often hear that in Mandarin a 坑 is a pit, in Taiwanese it often designates a ravine filled by a creek. The Chinese Wiki entry is here. 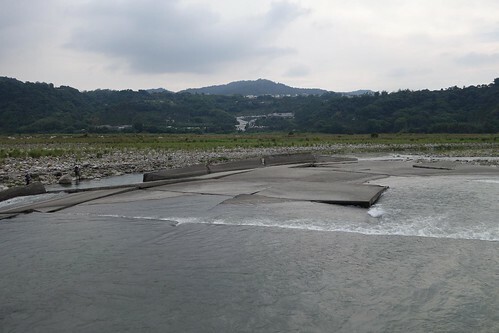 This line connected the Da-an River with Sanchahe (三叉河), high above the Da-an River near what is now Sanyi. It carried construction materials for the rail line, as the picture shows. According to Wiki, by 1904 the northern end of the rail line had reached Sanchahe near Sanyi, and the southern end had reached Changhua. 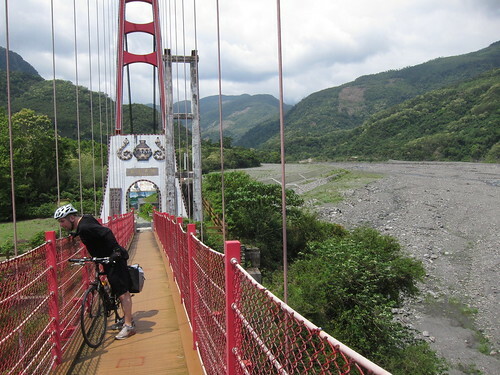 However, between them lay the 300 meter descent to the Da-an River (a 3.75% grade according to the county government site on this), which, along with the Dajia River, had to be bridged, and tunnels punched through the bluffs that separated them. This was a stopgap until all that engineering could be carried out. In 1908 the line was completed and a few months later the light rail line was dismantled. No trace is left of it, according to the county website. Here is a Google maps satellite image (Sanchahe is the red marker). I suspect this circular section of the rail line must have been located in what is now the gravel processing site just east of the 1 at the base of the mountain, and then it ran along what is now the 1 to Sanyi. 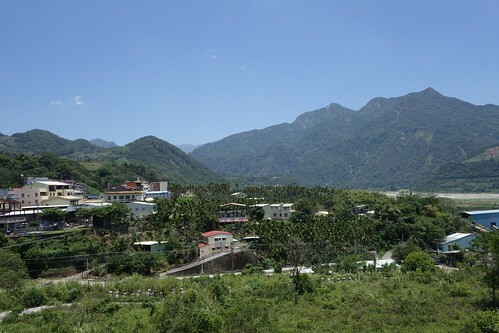 There is a Bogongkeng (伯公坑) on the west side where you can hike to the top of that enormous jagged sandpile mountain in the lower west corner of this picture, but on the east side a 伯公溪 (Bogong River/Creek) is marked. Because that mountain of sand is unstable and a frequent site of slides, several of which are visible in the image above, I suspect it must originally have been built on the other side (east side) of what is now the highway. The rainy season is here! Rain every day expected for the coming week. Too rainy to blog. Enjoy some links. Japan Times editorial says US should stay out of Taiwan election. Meanwhile the US hilariously announces that it does not take sides in Taiwan elections. Nope, it would never call up the Financial Times and anonymously hack on a presidential candidate in Taiwan, to elect a party that despises it and loves China. Alliance targeting KMT emerges. Again. The DPP wants to give up ROC South China Sea claims. KMTs don't like that. Hugh White STILL wants Taiwan to sell out. Still living in La-la land. Hong Kong paper SCMP gets rid of four columnists for obvious political reasons. Setting up a business in Taiwan: the basics. From Winkler Partners. The beautiful girl working at the vendor who becomes a big internet hit is a staple of Taiwan popular culture. The latest is a butcher. Taiwan's evolving position in the SCS and why other claimants should take notice. Also Veep Biden's speech on the SCS the other day. Clearly pushback by US against China. Years too late, but nice to see. Letters from Taiwan on the Passive Voice President, Passive Voice redux, who is the State in Taiwan, and professors saying basically that young people are too dumb to vote. From The London General Gazetteer; Or, Compendious Geographical Dictionary by Richard Brookes, 1838. 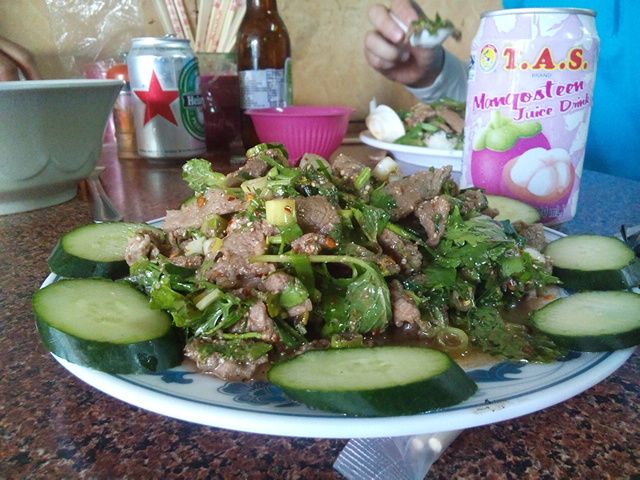 Lunch at a Thai restaurant on the road. Always a provocative and divisive figure, Shih periodically pops up to grab headlines but no longer commands a significant amount of support or respect. But he won’t make it to the ballot at all unless the KMT itself holds a signature drive for him. Back then it was easier to get on the ballot. Today, unless you’re endorsed by a party that got at least 5% of the vote in the latest presidential or legislative election, you need to collect a number of signatures equivalent to 1.5% of the last legislative electorate within 45 days. For this next election, in other words, Shih needs to get 269,709 signatures in 45 days, or 6,000 a day. That takes serious political organization, which Shih doesn’t have. In response, Tsai was said to have told Yao that she is to maintain the “status quo” of Taiwan being separate from China, which is the “status quo” supported by the US, the report said. “[Tsai] should read what was stated in the Three Communiques [joint statements made by the US and the People’s Republic of China]. The US stance is that there is one China, that there is what we call the 1992 consensus and that it is against Taiwan’s independence. Are you sure that the stance you uphold is aligned with the US?” Hung asked. The KMT exploits US reticence to clearly state US policy, which is that Taiwan is not part of China, but a territory whose status awaits final determination. The KMT knows perfectly well that the US One China doesn't include Taiwan, but nevertheless comes out with "One China" rhetoric as if it did. The DPP has finally grasped that it should be aligned tightly with the US on this. You can tell how unhappy the KMT is with this move because it is so upset. As Solidarity.tw remarked on Twitter the other day, it will be fun to contemplate the irony of Tsai Ing-wen, who has some China policy experience with the Mainland Affairs Council (MAC), telling Hung that she has no experience in cross-strait affairs, if Hung comes out as candidate. This is important because as many have observed, the KMT's last remaining card is cross-strait relations. It can't talk about its domestic accomplishments because the Ma Administration has been a failure. The fallout from the ethnic chauvinism of the mainlander core of the KMT continues to reverberate. Because they rejected Wang Jin-pyng, the Speaker of the Legislature, as a presidential candidate, several legislative candidates aren't going to be running, Solidarity translated. This is especially true in the south, where legislative candidates for the KMT face tough uphill slogging without Wang's strong southern support to pull them up. Speaking of things that will be happening in this election, how about the Dome scandal: Taipei Mayor Ko orders a halt to construction. A significant chunk of the public believes President Ma did some iffy stuff in connection with that project. With the election looming, Ko is tightening the screws on Ma, probably ensuring that the Dome scandal will be in the news throughout the run-up to the election. 15 year old illegally driving scooter hits Honduran ambassador's car. Mother accuses him of hit and run even though he stayed. Argh. FormosaNation passed these around Twitter today. Top poll is Apple Daily, bottom poll is Liberty Times. Both show that Tsai crushes all comers. On Twitter several were remarking that the Apple Daily poll includes more Blues. However, note the Taiwan thinktank poll below, which has Tsai up only a few points on Chu. Best Chu speculation so far, from a friend: Chu doesn't want to run for president because... he might win. NEWS: DPP turncoat Shih Ming-teh is supposed to launch independent presidential bid tomorrow. I would never think that is related to the fact that running a political campaign is a great way to collect money. Also, any news service that reports that Shih is a former DPP Chairman without reporting that he switched sides around 2000 is lying to you by omission. Synapticism with another great ruin for us. Where is anti-nuclear Mazu now? 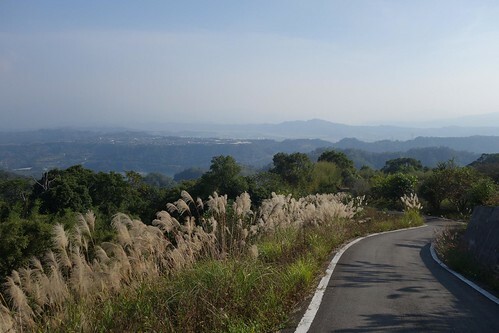 Drew's poetic ode to cycling in central Taichung city. 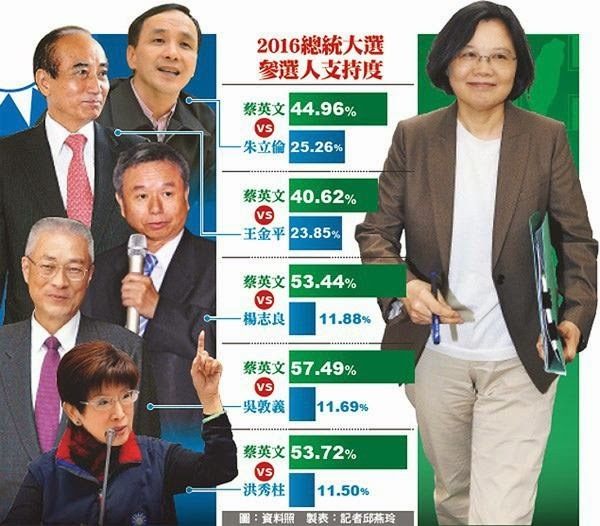 Taiwan ThinkTank (pro-Green) poll has Tsai up on Chu by just a few points. The poll, commissioned by the pro-DPP Taiwan Thinktank, found Tsai leading Wang by 44.1-41.3 percent margin and beating Chu, who is also mayor of New Taipei, by a 46.7-41 percent margin. Her lead was much bigger against Wu (64.1-20.2 percent), Hung (63.6-21.5 percent) and Yaung (63.4-17.5 percent). Comedy: Ma says China fears Taiwan protesters. Aw, poor China. A bright new day is dawning. Cal Hockley: It is unsinkable. God himself could not sink this ship. Twenty-five years I've been watching Taiwan politics. I can't remember the last time I enjoyed them so much. 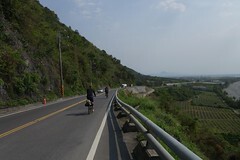 I went off to Guguan on my bike yesterday planning to ignore the internet. I just wanted to come home to find everything resolved. Instead, it became more of a mess. Not that I'm disappointed or anything. The day opened with Apple Daily publishing an interview with President Ma Ying-jeou, who more or less ripped Eric Chu, the KMT Chairman, for not running. "As party chairman, (Eric Chu) has the responsibility to find the most suitable candidate," Ma told Apple Daily, a tabloid-style newspaper. "If that fails, he himself has decent qualities and should not dodge the responsibility that is his to shoulder." Despite pressure from all sides, Chu again denied he was going to run for President. "The decision not to run has subjected me to more pressure and criticism than if I had decided to run," said Chu, who is widely considered as his party's best chance of beating Tsai Ing-wen,(蔡英文), chairwoman of the Democratic Progressive Party (DPP), in next year's presidential elections. Chu said the decision not to compete does not mean he is " biding his time or fears defeat," but rather that he is honoring his promise of serving out his four-year term as mayor of New Taipei City, as promised during the local government election campaign last year. As a KMT chairman, he said, he has been working to revive the party's spirits since its crushing defeat in the local elections last November. He has also been working for true unity of the party, Chu said at a press conference held at the KMT's headquarters after the closing time for the collection of registration forms for the party's presidential primary. Noting that some people have been saying that he is refusing to run for president because he is afraid to lose, Chu said if that were the case he would not have run for the chairmanship of the party. Serving as KMT chairman is "a difficult and underappreciated job," said Chu, 53. He said that if the KMT wins the 2016 election, the new president will serve concurrently as party chairman, and if the KMT loses, "I certainly will have to step down to take responsibility" for the loss. He said, however, that if his decision not to compete in the presidential election will cause even more disarray and disunity in the party, he will step down as chairman. Several sharp people I know have been saying since Chu became Chairman of the KMT months ago that he wouldn't run for President. I have never believed it, assuming that even if he really didn't run, all this kabuki theater would get him on board, eventually. But pressure from all sides has failed. In fact, there are calls already within the KMT for Chu to resign since he failed to provide a meaningful candidate (!). After Legislative Speaker Wang Jin-pyng (王金平) on Friday apologized to supporters while saying he would not be joining the Chinese Nationalist Party’s (KMT) presidential primary, some KMT lawmakers reacted angrily, blaming KMT Chairman Eric Chu (朱立倫) and President Ma Ying-jeou (馬英九), with some calling for Chu’s resignation as chairman if the party ends up with a less-than-satisfactory candidate. Ah, what a joy it is for me to be comprehensively wrong about Chu. I always thought he would come out. What a joy it is as well to see this acted out in public by KMT officialdom. My wife has been ROFL watching me walking around the house, grinning from ear to ear. Solidarity has Chu's speech in English here. On Saturday, Deputy Legislative Speaker Hung Hsiu-chu (洪秀柱), former Health Minister Yaung Chih-liang (楊志良), and Huang Po-shou (黃柏夀), the chief secretary of Dayuan Township in Taoyuan County, were the only KMT hopefuls who collected registration forms for the party's presidential primary. Imagine if in 2008, knowing they'd lose because of Bush, none of the top Republicans ran for president, and the party was ultimately left with only these 3 primary candidates: former health secretary Michael O. Leavitt, far-right legislator Allen West, and the secretary of the GOP's Kokomo, Indiana chapter. This is exactly what's happening to Taiwan's ruling party, the Kuomintang (KMT), right now. Chu is probably saving money for the legislative elections which will take place the same day. But if the KMT goes with one of these inferior candidates, then the legislative election will take a huge hit. When they lose, Chu will have to step down. Speculation about Chu is heading in several directions. Chu doesn't want to run because he wants to save himself for 2020 (he'll be 57 then). Chu doesn't want to run because he is gun-shy and out of his depth. Chu went to China and saw the light -- Xi, no politician either and apparently unable to identify where his interests lay, treated him like a mentally defective farmhand who wanted to marry his daughter, instead of a prodigal son come home -- and discovered he is Taiwanese, not Chinese. Chu doesn't want to preside over a presidency married to Ma's cripplingly stupid China policies. Chu doesn't want to run because the KMT will lose both the election and New Taipei City in the by-election, and then Chu will have to resign from the Chairmanship, meaning that he will be left with nothing but memories. Chu doesn't want to run because he really is committed to the people of New Taipei City. Chu doesn't want to run because he never wanted to be Chairman either. Whatever the reason, Chu doesn't want to run. Even if they somehow draft him, he'll be seen as a reluctant candidate, wounded by repeated denials. Recall that the KMT has another month before it is supposed to announce a candidate. And there's Hau, running the KMT on a day-to-day basis while Chu does other stuff. Like Chu (a former accounting prof, which also shows how the KMT uses the universities as job programs for mainlanders, one of the ways the KMT uses all the government and quasi-government and industry organizations as job programs for mainlanders), Hau is a mainlander and former professor who had greatness thrust upon him. One has to wonder whether he will have the same reaction as Chu. And there's Wang Jin-pyng, the Taiwanese Speaker of the Legislature who withdrew from the race on Friday after having his candidacy blocked by the Ma camp and the mainlander core. Recall that Wang is the leader of the Taiwanese KMT, or the "southern KMT", the Taiwanese faction politicians who run the KMT at the local level and which the KMT is entirely dependent on for its local presence. The mainlander core didn't want Wang because he isn't a mainlander -- not a Chinese. Nothing like ethnic chauvinism as a basis for political choices. That's a giant middle finger to the party factions and to Taiwanese who are KMTers, because at the local level Wang is something of a hero in a local-boy-makes-good way. That won't be good for party unity going into the election. I want to put away a nice bottle of whisky for election day. Any suggestions? UPDATE: DON'T MISS Solidarity's excellent take on Eric Chu. Shortening work week could harm businesses, say businessmen. 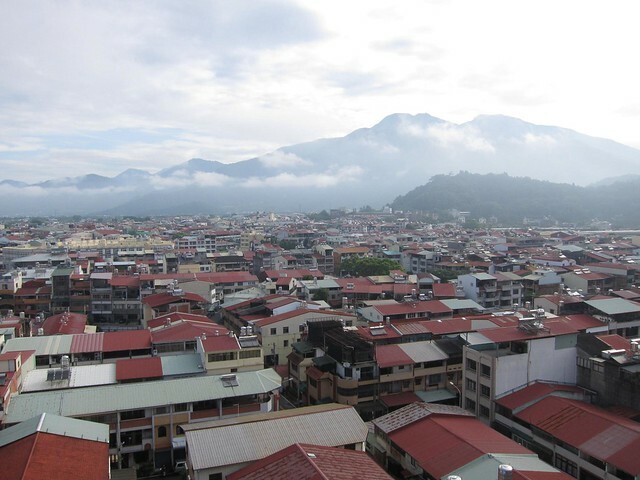 Family from India nabbed for heroin trafficking into Taiwan. VOA: Taiwanese weigh pros and cons of engagement with China. Fisherman cluster in front of a water gate above Dongshih on the river. It's official. Wang Jin-pyng, Speaker of the Legislature, KMT heavyweight, possible presidential candidate, is out. He held a presser this morning to say that he would not be picking up a registration form for the KMT presidential primary. Storm media has it in Chinese. This means that either Chu has to jump in or be forced in, or the KMT is going to go with a third-tier candidate and hope that some combination of Taiwanese businessmen in China, threats and more from Beijing (and as someone pointed out to me on FB today, Beijing can keep the KMT alive as long as it wants via transfers of money), and local faction clout can deliver the victory despite the incredible weaknesses of the remaining possibilities. Because this has been arranged to give Chu no choice, he can claim he was forced and break his promise to the people of New Taipei City, to whom he promised he wouldn't run. There are three days left to pick up registration forms for those who want to run in the KMT Presidential primary, according to the Taipei-based China Times, May 14, Legislative Speaker Wang Jin-pyng (王金平) has been keeping a low profile. According to an informed source, strong opposition from Wang’s family and obstruction from President Ma’s subordinates have caused Wang to hesitate to throw his hat into the ring. According to the same source, Wang also wanted to avoid causing a rift in the KMT before the 2016 Presidential Election, so it was highly unlikely that Wang would pick up a registration form for the KMT primary. The KMT has yet to come up with a standard bearer for the 2016 Presidential election. According to the KMT party central’s internal regulations, if Hung Hsiu-chu (洪秀柱) or Yaung Chih-liang (楊志良), who have already picked up registration forms, did not receive enough qualified endorsements or the minimum 30% support rating in the primary opinion polls, the KMT’s Central Standing Committee would likely directly draft a candidate in June, with the approval of the National Party Congress scheduled for July 19. KMT Chairman Eric Chu, Vice President Wu Den-yih (吳敦義), and Wang Jin-pyng (王金平) are thought to be the most likely draftees. At the moment -- savor this thought -- the most credible candidate the KMT has is Hung Hsiu-chu, the Deputy Legislative Speaker (name recognition test: quick, name your own country's deputy legislative speaker), who has been burnishing her rightist credentials. An SETV poll from April 21, Solidarity reminded us on Twitter today, has Tsai crush her 60-11, while UDN has Tsai over Hung 60-12. She's bug on windscreen bad. There's no way the KMT goes with her. Nope, with Wang out, because as many have already noted the party would split between the local factions and the KMT core -- nothing more dramatically shows Wang's importance as the tongs by which the KMT handled the local factions -- that leaves only one option. Eric Chu must come out. It's looking to us chatting about this that the Party core is pushing Wang out to ensure that Chu has to run. Because if anyone else runs, it will be a blowout, and the KMT can't afford a blowout -- the factions are already going to take it personally that Wang wasn't supported by the mainlander core after all he's done -- I suspect that's why the KMT has been putting it about that Wang's family doesn't want him to run, to reduce some of that damage. Moreover, some of them have already started to leave, signaling that more must be thinking about it. A blowout loss would mean that the legislature might be lost as well, which would send many faction politicians out to make deals with the DPP. Meanwhile Chu would have to resign as Chair, and his shot at the 2020 nomination would be damaged. Chu may have to run merely to preserve his position for the 2020 election. On the other hand, maybe he won't resign no matter what. Who knows? And there's Hau, waiting in the wings if Chu falters. The nomination process closes this weekend, according to the -- haha, I don't know why I am even using this word in connection with the KMT -- rules (Solidarity explains them here). More bad news for Chu came out this week with the new TISR poll on his visit to China (link). Just as everyone said, it'd didn't play in Peoria. Who benefited? 41.2% said China, 15.7% said Taiwan. All this reminds me -- Wang is aging. Who is going to handle the party's relationships with its factions after Wang is gone? Over the past seven years, the government of the Republic of China (Taiwan) has endeavored to create an ultrastable foundation, thus generating the greatest level of peace and stability in the Taiwan Strait since the two sides came under separate rule 66 years ago. The KMT’s presidential nomination registration period is nearing the end, and legislative speaker Wang Jin-pyng’s 王金平 intention to declare his candidacy is clear, but the “iron blues” are fighting back in a big way, forcing Wang to delay his plans again and again. He’s been forced to scrap his original plans to go to the KMT headquarters to register his campaign today [5/13] at 8 a.m., which is an extremely auspicious time from an astrological standpoint, as the nation will at that moment be under the Emperor Star 紫薇入座. Opposition to Wang from the Deep Blues is powerful -- they understand that theirs is an ethnic-based ruling class, and won't tolerate a non-member of that club, even as a front man. 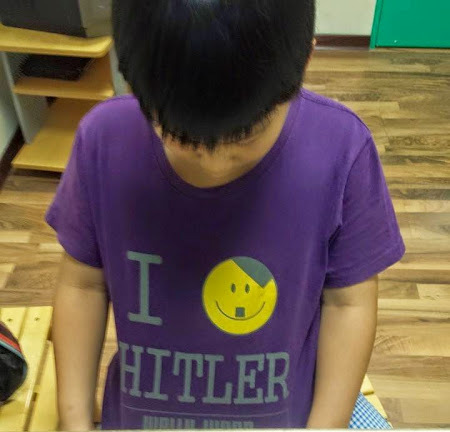 Nor do they trust Taiwanese either. Somewhere in Wang's heart there has to be powerful feelings from listening to the abuse of locals that circulates in mainlander circles and occasionally leaks out in public, and also, deep anger at his treatment at Ma's hands. Now it is Ma who is blocking his attempt to become a primary candidate. Wang's support comes from the Taiwanese KMT, especially in the south. The faction networks, nourished on fisheries and agricultural cooperative monies, support him. As Solidarity notes, Chu could bring the party together to support Wang, but it would likely cost him the Deep Blues. Meanwhile Hung Hsiu-chu, who has been Chu's stalking horse, finally conceded today that KMT nomination rules don't allow the Party to draft Chu against his will. This reads like a concession that Chu isn't going to be the candidate. 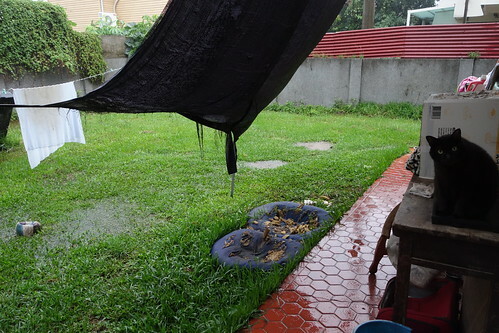 The typhoon dumped some rain on us, so they eased water rationing. Um... couldn't we save that water until we get a robust accumulation? 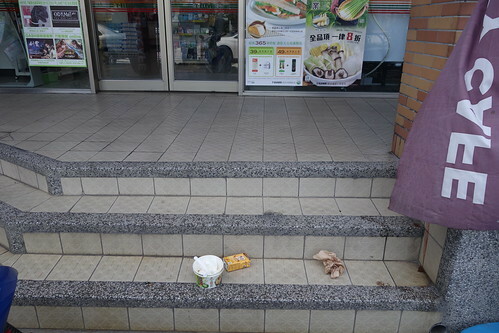 J Michael writes on an old theme on this blog, why no one ever asks the Taiwanese what they want. ...and then here's a comical story about a family from Dallas trying to make it in the brutal world of .... Tienmu. I hear some places are like a ten minute walk from the metro. An acquaintance posted this to Facebook. Words fail me. 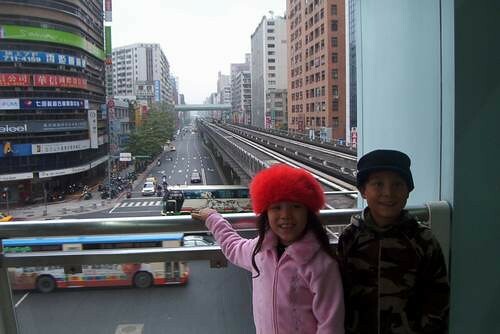 The kids in Taipei a decade ago. KMT Party Chairman Eric Chu says that whoever is the Party's presidential nominee must pay his own way -- no party money will be used. Thus Chu preserves funds for a 2020 run, while preventing anyone from squirreling away party funds to oppose him later. Or perhaps from wasting it in the month between the ending of the nomination process and Chu being "drafted" by the core of the KMT. Meanwhile, recall that Speaker of the Legislature,Wang Jin-pyng, whom Ma tried to destroy two years ago, is going to announce tomorrow, according to media reports last week. A couple of days ago current candidate Hung Hsiu-chu, who has been acting as Chu's stalking horse, said it would be ok to draft Chu if he didn't want to stand as candidate. Emily Chen in The Diplomat: Tricky waters both parties have to navigate before 2016 elections. Chen writes on Taiwan for several publications, and gets it. The new generation of Taiwanese is also creating a new generation of people writing about them. The American in me thought that Chu looked like a leader. He was energetic, friendly, and spoke eloquently without a script. This was in marked contrast to the other side of the table, which seemed dull and lifeless. However, the voice in my head that pretends to understand Chinese political stagecraft laughed at my inner American’s naiveté. Chu was overeager, a younger smiling too broadly and showing his desperation for the older man’s approval. Xi showed his dominance by giving only the faintest of smiles in the official photo. Xi read his remarks from a script without much emotion, as if this were just another – relatively unimportant – event in his busy schedule. Yesterday while I was driving home, a talk show host (on a deep blue radio station) lambasted Chu for introducing his team one by one in the reception line, as if he were presenting a group of schoolchildren to the principal for a pat on the head. Chu simply didn’t seem to have the gravitas of people like Lien Chan. WSJ interviews Ma Ying-jeou. The softball questions that permit Ma to engage in normal MaSpeak are the sad outcome of the fact that interviews with Ma are controlled. Nevertheless, to ask these questions, WSJ sent three editors. Wouldn't it be great if they had sent a single student intern and a poodle, to say "Look, as soon as you let us ask serious questions, we'll be happy to supply serious people." Tie Non, from Matsu with good pics. Chinese spouses demand reduction in waiting time for citizenship from six to four years. Ma orders medals of honor struck for veterans of war against Japan. The Taiwanese who served in the armed forces of Japan get nothing. The textbook controversy continues -- major revisions made to the history and geography texts to reflect pro-China views, delete democracy references. Now government is warning people not to veer from them. Former KMT Miaoli county chief now accused of other forms of misuse of funds, this time overseas trips. Now that all the construction he fostered is concluded, they can go after him. Old material on John Tkacik's website on the formation of US Taiwan policy that the status of Taiwan is undetermined. Enjoying an east coast ride. Eric Chu's demand that AP correct its claim that he had agreed on eventual "unification" of Taiwan with China was not an isolated incident. It's policy. Ma had a habit that Chu appears to be recapitulating. He'd speak to some foreign newspaper or in a foreign location, and reaffirm that Taiwan is part of China awaiting "unification" with the motherland, which the reporter would dutifully paraphrase or quote. Then the following day, when the local public woke up to discover that Ma had declared them all Chinese, a deeply unpopular position, the President would demand a retraction. The Presidential Office yesterday released audio recording of President Ma Ying-jeou's interview with the Associated Press in an attempt to set the record straight over a controversial interpretation by the news agency on Ma's readiness for cross-strait political talks. Ma denied a report by AP Tuesday suggesting that he was ready for political dialogue with mainland China in his second term if he gets re-elected, stressing that he never made such a remark nor linked political talks with his second term in the interview. The Presidential Office Tuesday demanded AP correct their story. AP did not make such a correction. Asked by Taiwanese media on the news agency's response, AP's Taiwanese correspondent, Peter Enav, said that AP stands by its report. His recent interview with The Associated Press (AP) was no exception. The more he spoke, the more pro-Chinese he sounded, and he showed that internationally he fears China, while at home he fears the voters. These two fears have one thing in common — fear of not being re-elected. This kowtowing and deception was at the center of his demand that AP “correct” its report about the interview. Here, with Chu, we have the same situation: Chu in a foreign country, talking about Taiwan's status. Obviously, a correction had to be demanded.